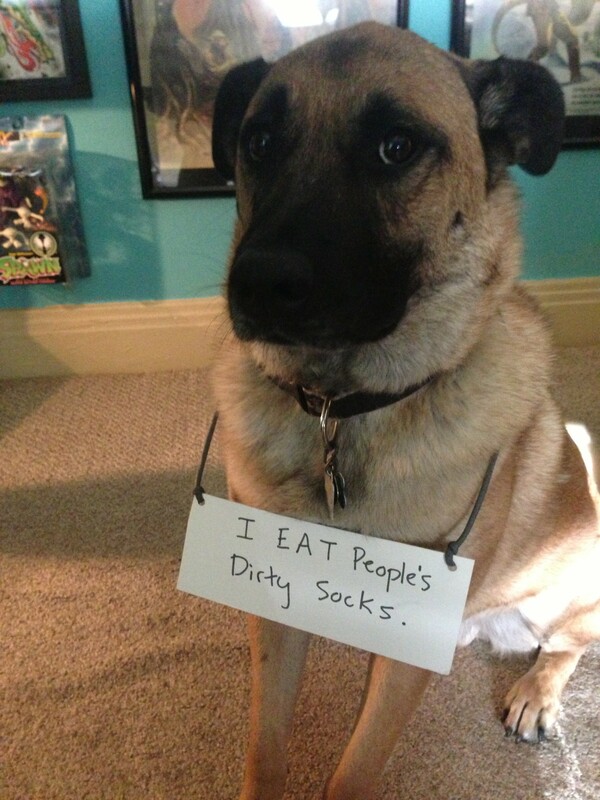 I eat people’s dirty socks. Posted February 5th, 2013 . Awwww he looks so guilty. My “granddog” , Lucky, a Rhodesian Ridgeback, loves socks as well. Unfortunately, her last experience resulted in surgery from two blockages in her intestines, at a cost of 2500 dollars. Watch dogs carefully if they eat socks or large items! He looks like an Anatolian Shepard. My German Shepherd, Ellie, used to eat socks and washcloths. Naughty!